The compact Audi A3 Sedan is the smallest and most moderately priced member of Audi’s vehicle lineup. It aims to deliver buyers a more compact alternative to the A4 while retaining a traditional four-door body style preferred by Canadian drivers. 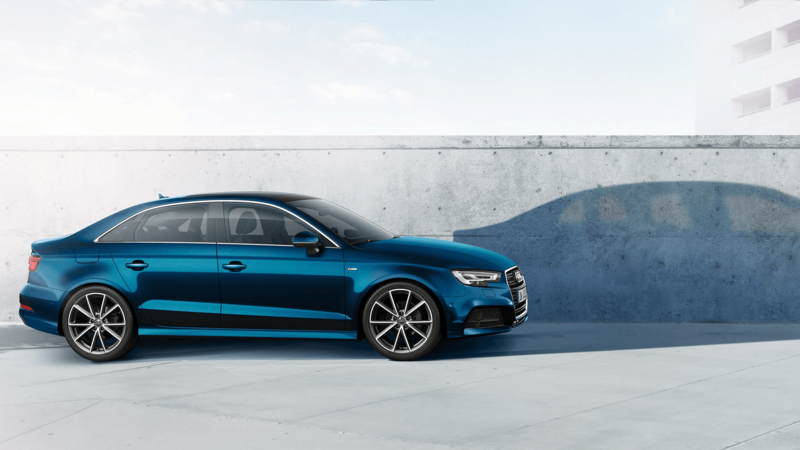 Buyers after a sportier driving experience can opt for the S3 or the range-topping RS 3. At Pfaff Audi Vaughan, you can always find an Audi A3 sale in the Thornhill area! New or pre-owned, it doesnt matter! We have the selection of premium quality Audi vehicles you are looking for. In this article, we will be talking about some of the features available on the 2018 Audi A3 sedan. Read on for more information. Begin your search for Audi vehicles here. Stretching 175.5 inches long, 70 inches wide and 55.7 inches tall, the A3 Sedan looks like a shrunken A4 when viewed from the outside. It wears an aggressive look defined by sharp headlights, lightly sculpted flanks, pronounced wheel arches, a discreet spoiler integrated into the rear hatch and triangular tail lamps. The A3 benefits from Audi’s expertise in the field of lightweight construction and the lightest version tips the scale at just 2,755 pounds thanks to a body made largely of hot-formed steel and an aluminum hood. The A3 Sedan is fitted with a clean, uncluttered dashboard that puts a strong emphasis on function. The highlights include understated styling elements such as chrome-ringed air vents and a simple instrument cluster made up of four analog gauges. The smallest member of the Audi family can carry five adults and up to 15 cubic feet of cargo. The A3 Sedan can be ordered with Audi’s MMI infotainment system at an extra cost. MMI groups the car’s entertainment, connectivity and navigation (if equipped) functions into single operating system controlled by either a knob and a series of buttons found on the center console or a voice recognition function. The centerpiece of the system is a high-definition color screen mounted on top of the dashboard. Another notable high-tech feature offered on the A3 Sedan is Audi connect, a software that provides a Wi-Fi connection and lets passengers find places of interest, travel information, weather reports, fuel prices and even access satellite images from Google Earth. The A3 comes with a 2.0-litre four-cylinder that generates 220 horsepower and 258 lb-ft. of torque, enabling a 0 – 60 km/h time of 5.8 seconds. 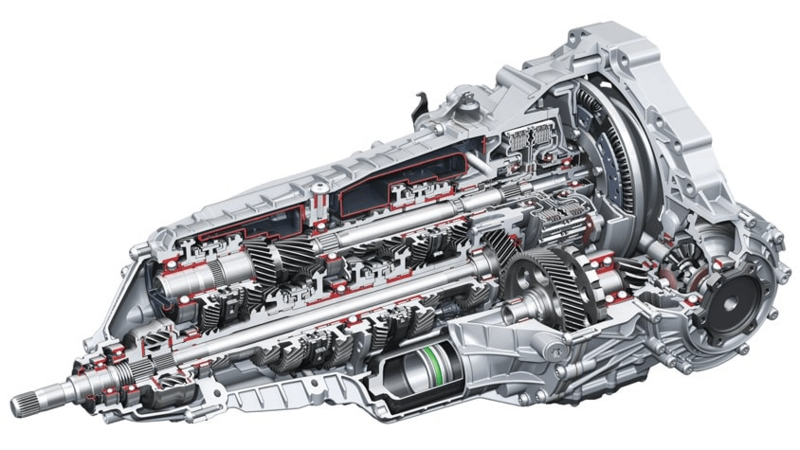 Power is transferred to all four wheels via a six-speed dual-clutch automatic transmission. Canadian drivers want an Audi A3 sale because of the power you get in such a compact size car. All A3 Sedans regardless of trim level and engine come standard with driver and front passenger airbags, knee airbags as well as front and rear side and head curtain airbags. 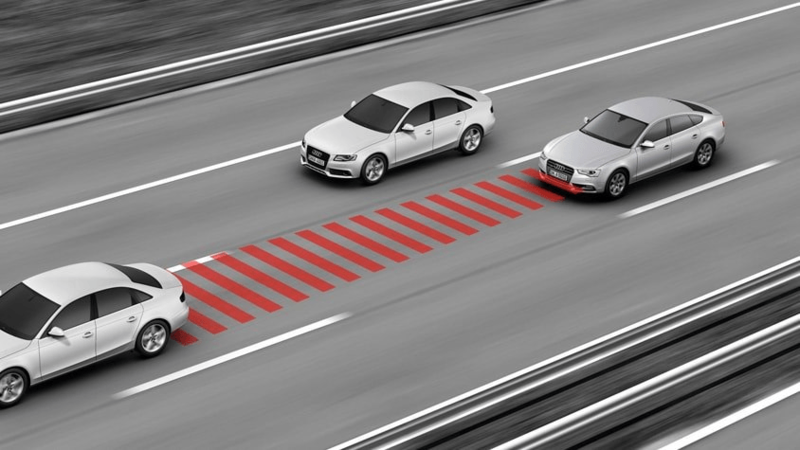 The list of electronic driving aids includes Multi-Collision Brake (MCB), traction control (ASR), electronic stability control (ESC) and Electronic Brake-pressure Distribution (EBD). For more information about an Audi A3 sale in the Thornhill area, please feel free to continue browsing through our Pfaff Audi Vaughan website. Also, feel free to visit our pre-owned sales facility at 115 Auto Park Circle in Woodbridge to find a sale on a used Audi A3. Click here to find our contact information, schedule a test drive, or to fill out our contact form.